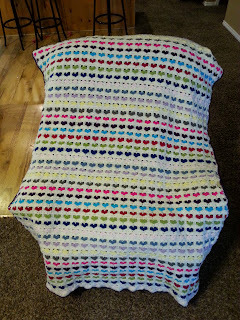 I just finished making this afghan from Crochet World Magazine. It is a wedding gift for my Sister-in-Law, she is getting married tomorrow and I finished right in time! Whew!